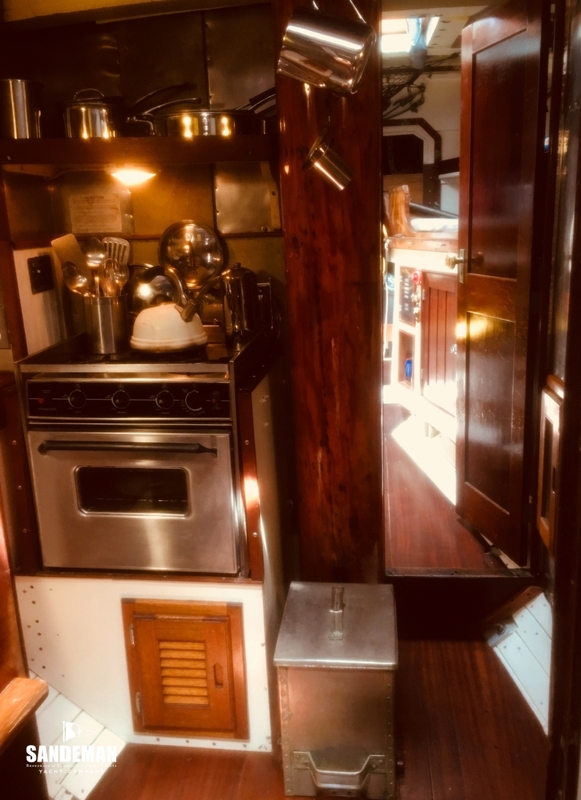 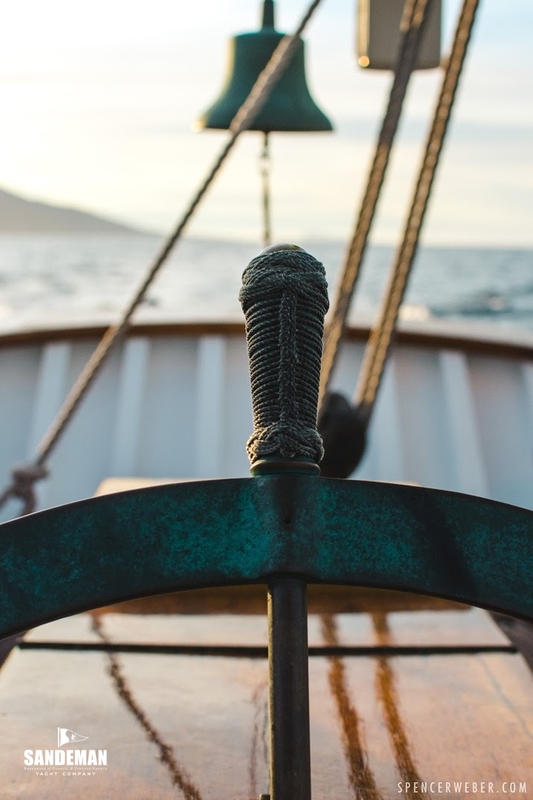 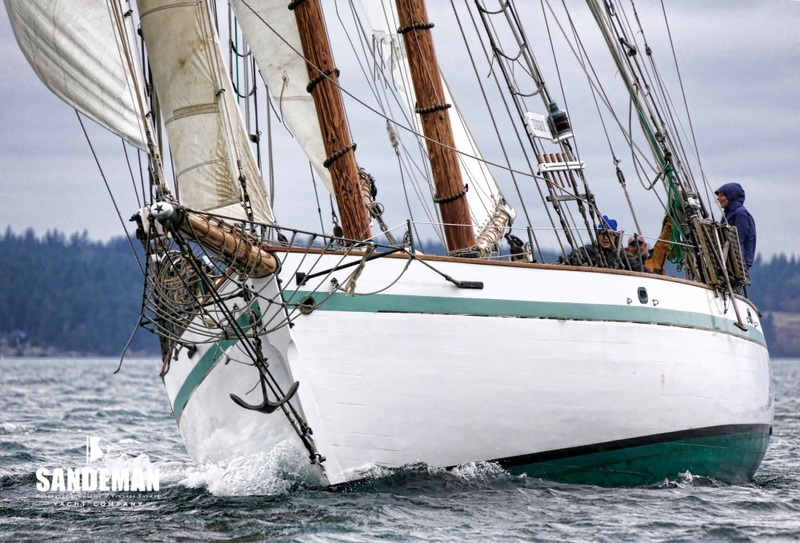 DIRIGO II is a fully functional classic schooner yacht of impeccable pedigree, still sailing the ocean doing what she was intended and built for - which is to take family, friends, and crew on adventures: voyaging and sailing in style, in both communal and private comfort, and safely. 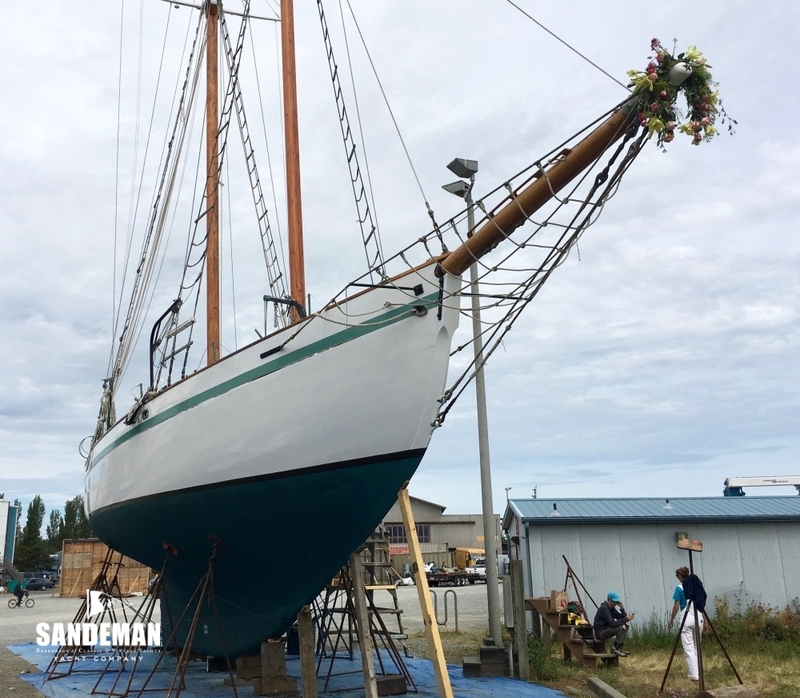 Two major structural refits under present ownership since 2010 leave this handsome and proven schooner a long way from retirement sitting at a dock as another pretty face. 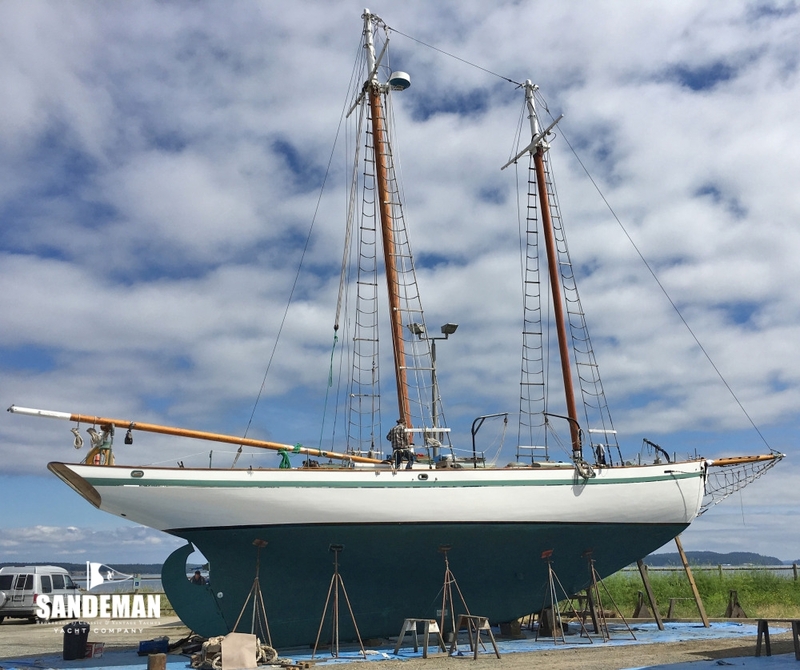 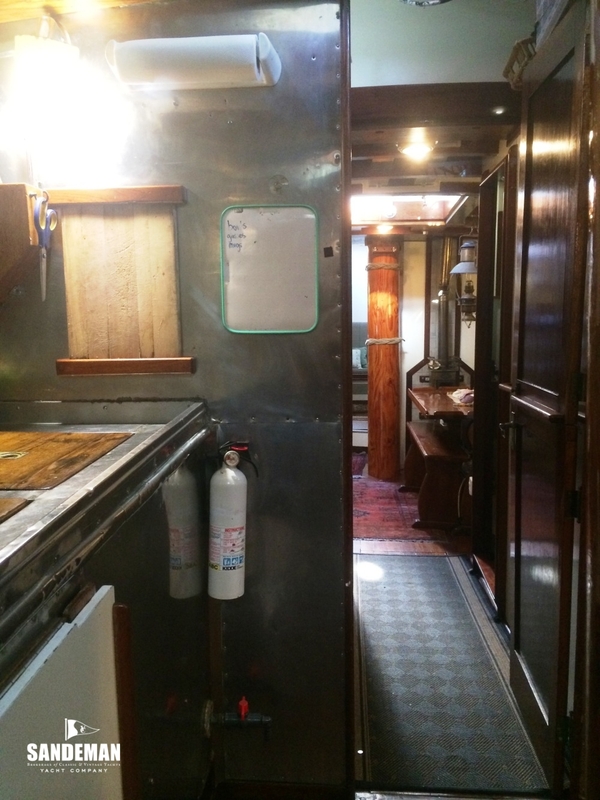 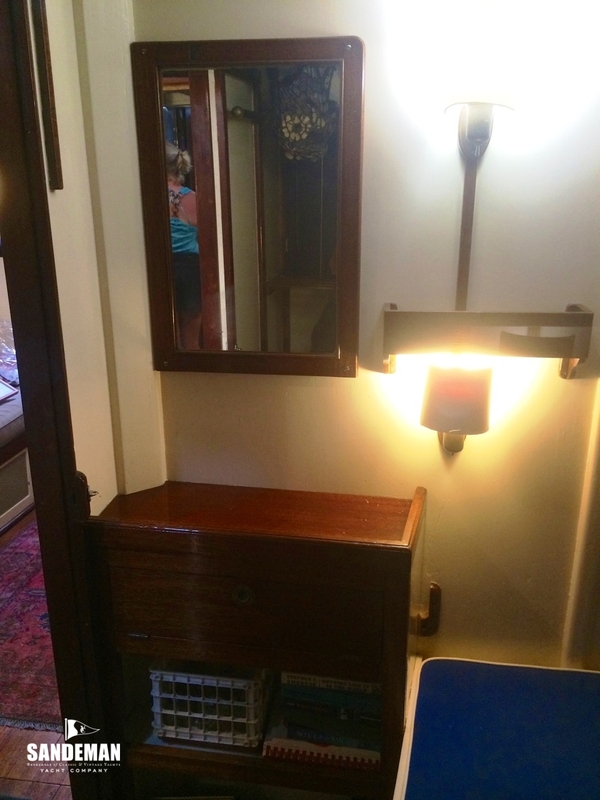 The current owner is willing to participate and/or assist in the re-location of the DIRIGO II as required. 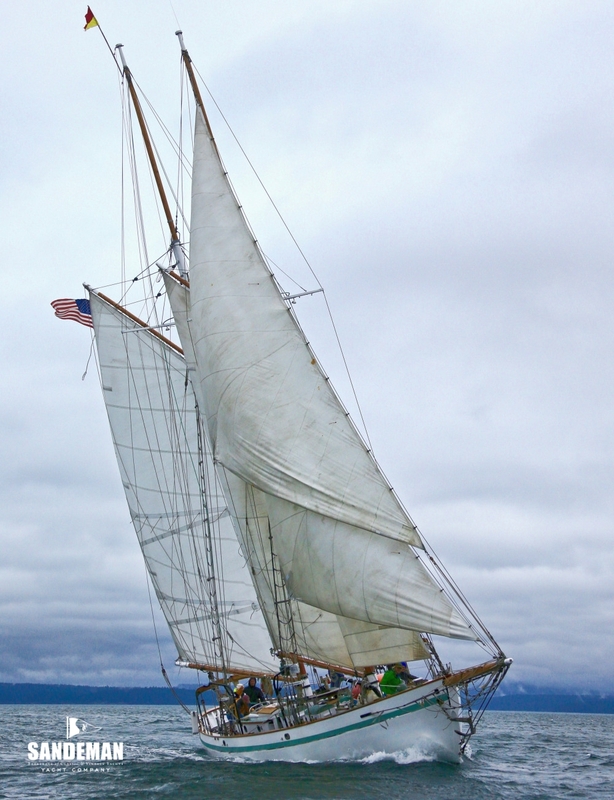 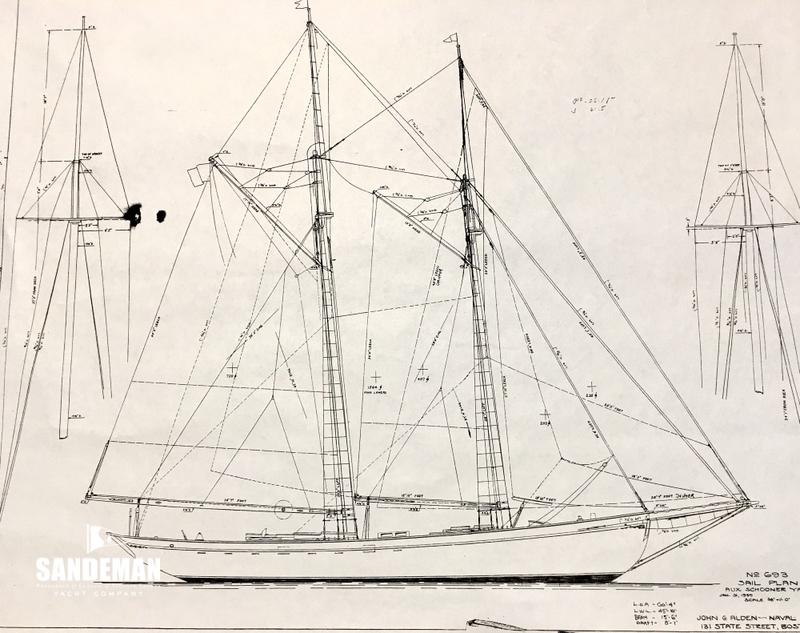 The plan for DIRIGO II was always that she would be a circumnavigator, but a major war stymied commissioning owner Charles Van Sicklen’s plans, hatched during a voyage round Cape Horn aboard the legendary former German Pilot Schooner WANDERBIRD. 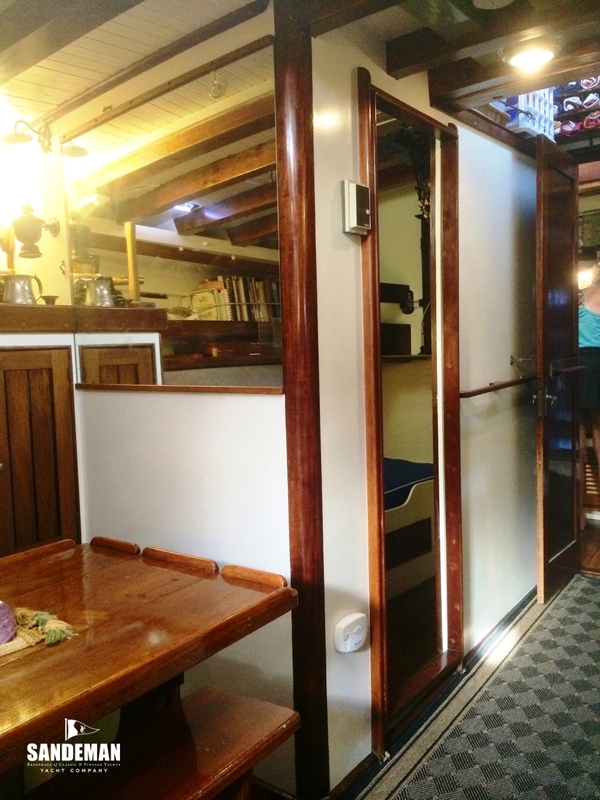 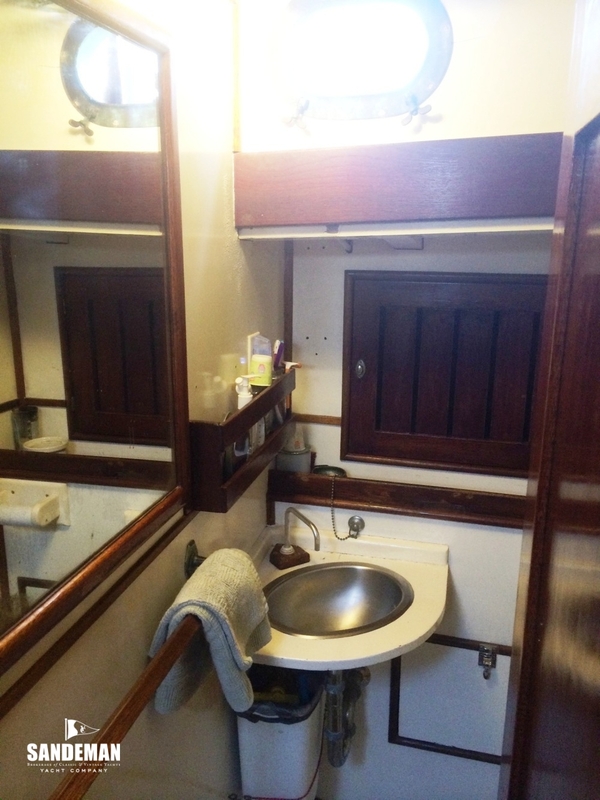 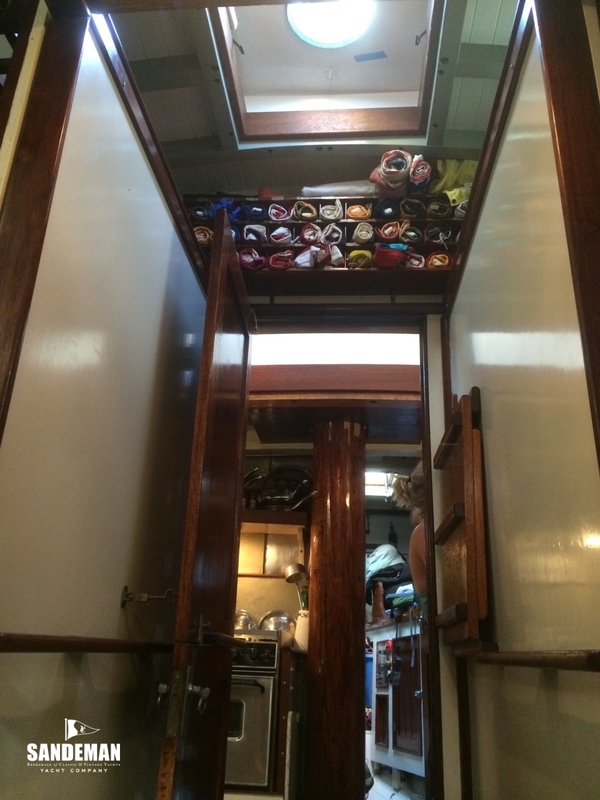 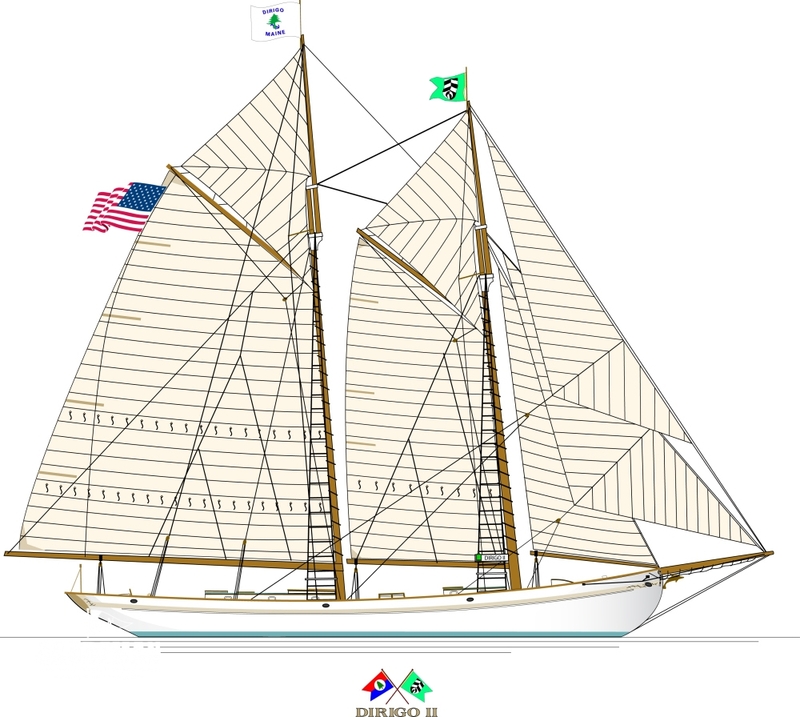 It was said that DIRIGO II’s rig and accommodation arrangements were almost copies of WANDERBIRD’s and her design is at least a combination of the client’s personal experience and long serving Alden architect Clifford P Swaine’s then two decades involvement in the development of the Alden schooner type. 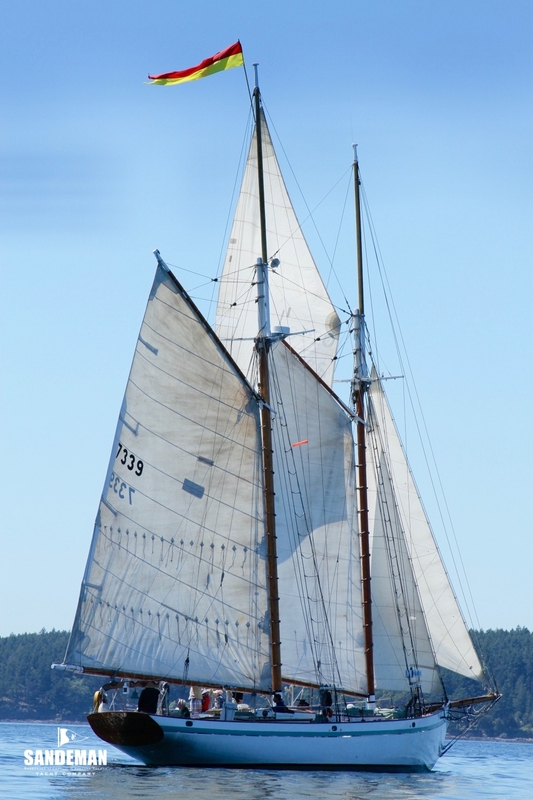 Twenty years passed before DIRIGO II could finally set off for the big one, and under subsequent ownership. 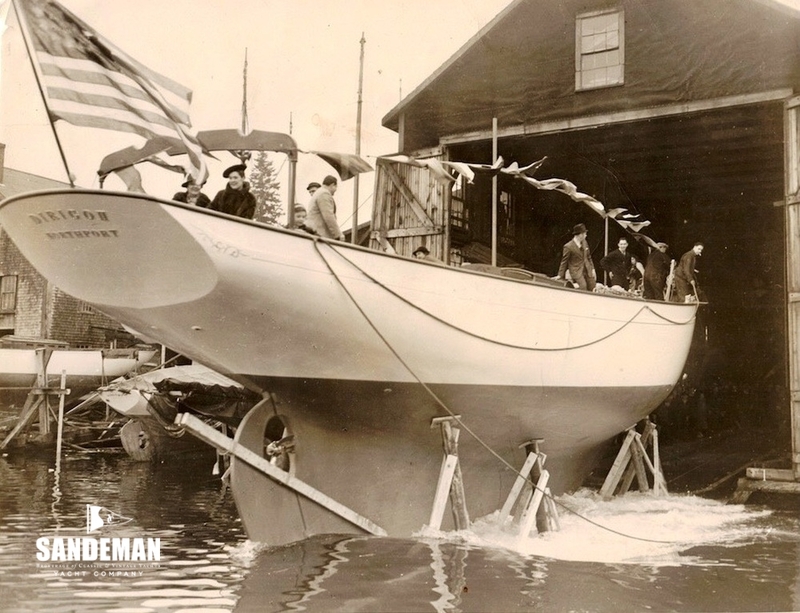 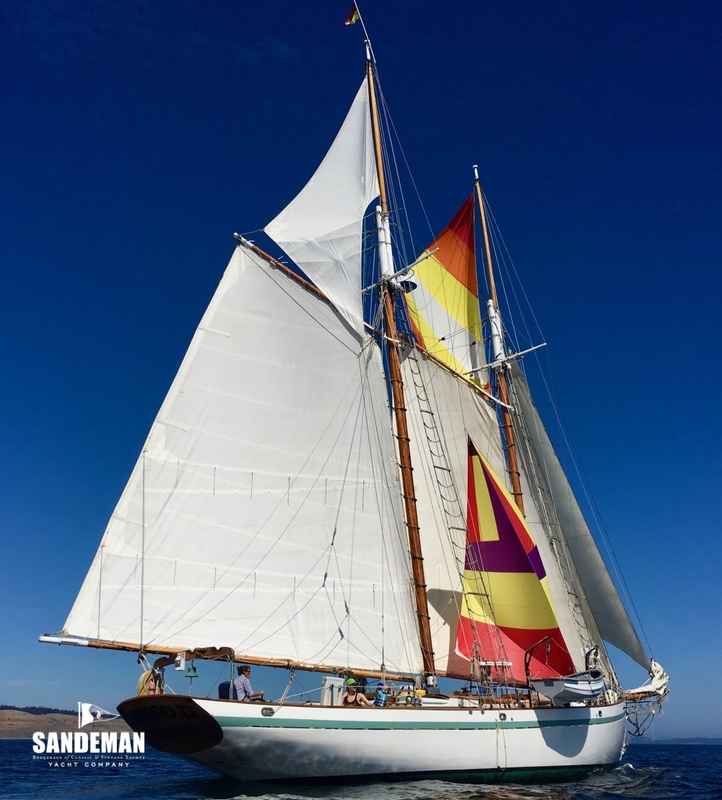 But before the USA entered the second world war, in April 1939 this characterful schooner gained a place in history by being presented on launching at Goudy & Stevens, East Boothbay, Maine, with the first example of the newly legislated State of Maine Merchant and Marine flag. 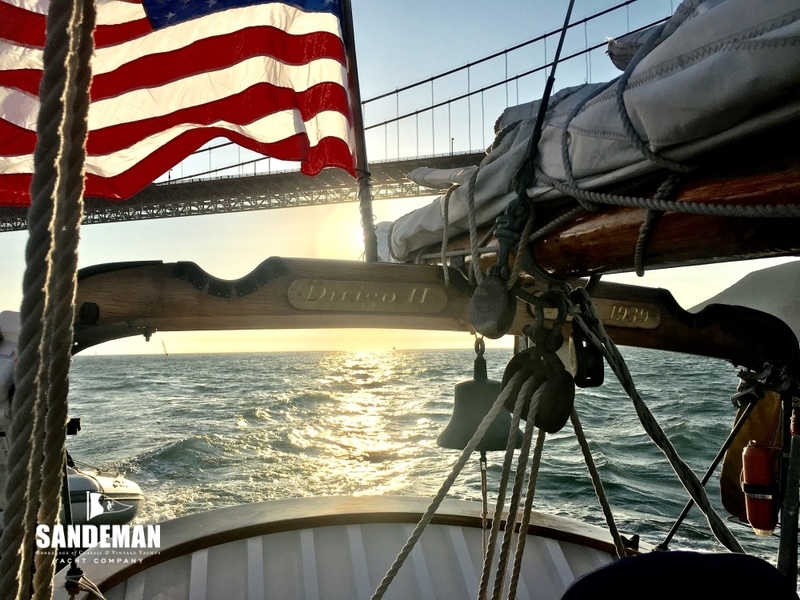 Her name comes from the State motto meaning “I lead”, and she’s DIRIGO II because the first vessel of that name was a 312 ft/ 95 m steel sailing ship (the first all-steel ship to be built in America) owned by Sicklen’s grandfather and built by Sewall of Bath, Maine in 1894 to a Liverpool, England, design and from a kit of prefabricated frames and plates made on the Clyde, Scotland. 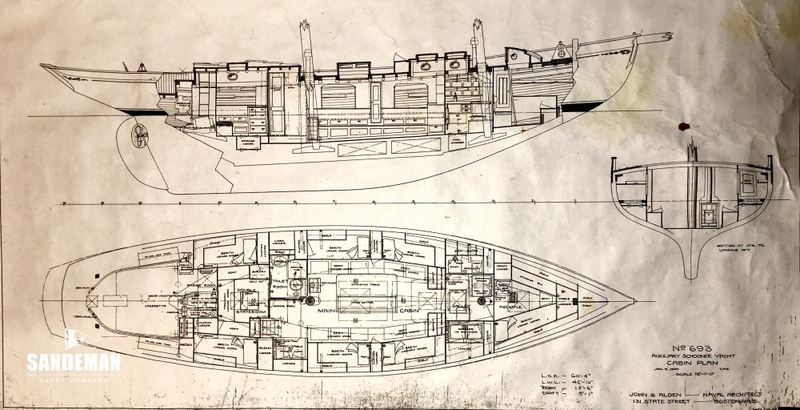 Then DIRIGO II was tucked away in the back of a shed for the duration of the war, described as “unfinished” to avoid the threat of government requisition. 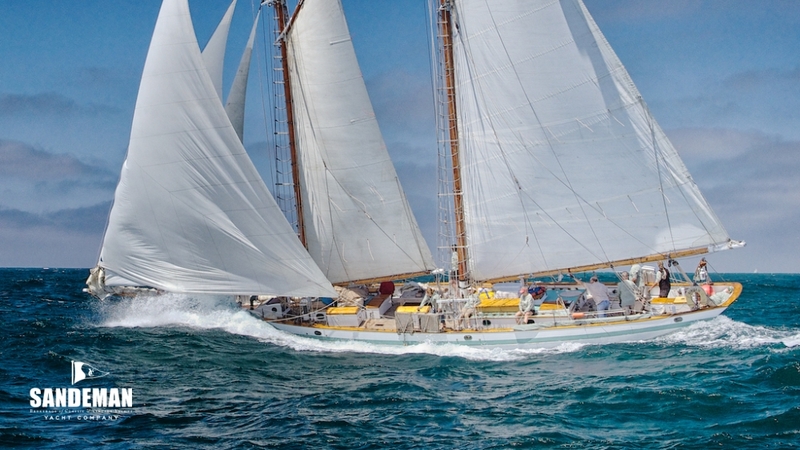 Finally commissioned in 1946, DIRIGO II was 2nd over the line, 2nd in Class A and first schooner to finish in the 1953 St Petersburg - Havana Race in the hands of long time owner James W. Crawford. 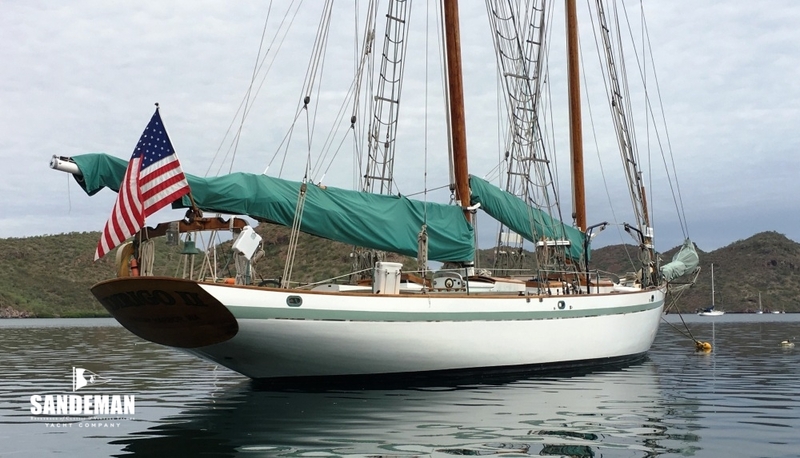 But she didn’t enjoy such good fortune later that summer in the Los Angeles-Honolulu Race: searching for the wind she instead found the mother of all calms just over 300 miles from Diamond Head. 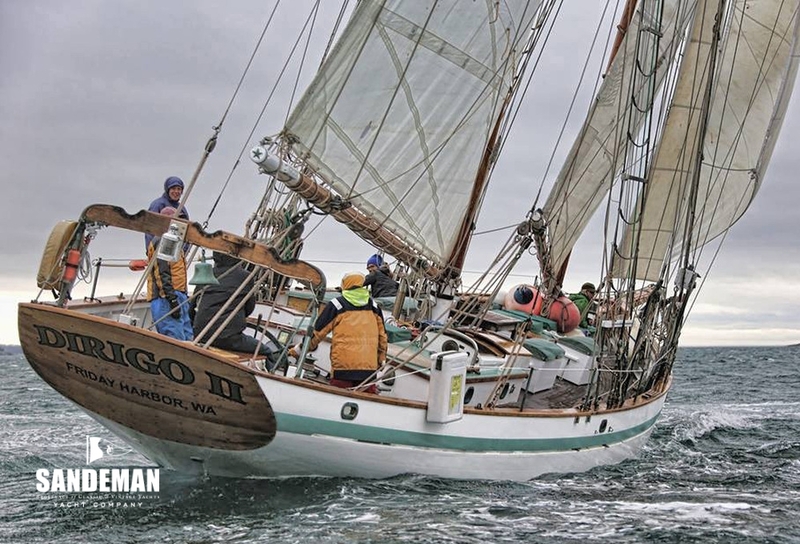 As Sports Illustrated reported: “Finally, on July 17, three days after the first finisher crossed the line, the crew of the DIRIGO [II] threw up their hands via a radio message that most West Coast sailors consider the classic complaint on the classic race. 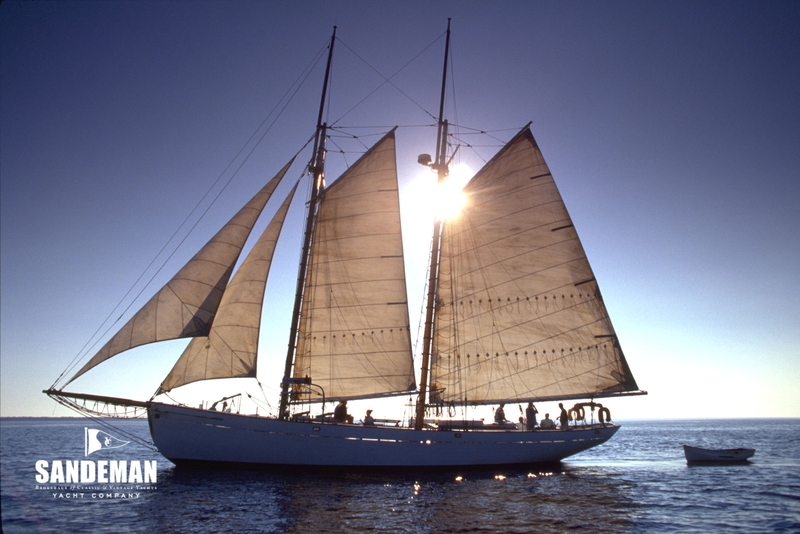 "Out of wind," said the message, "out of patience and out of beer." 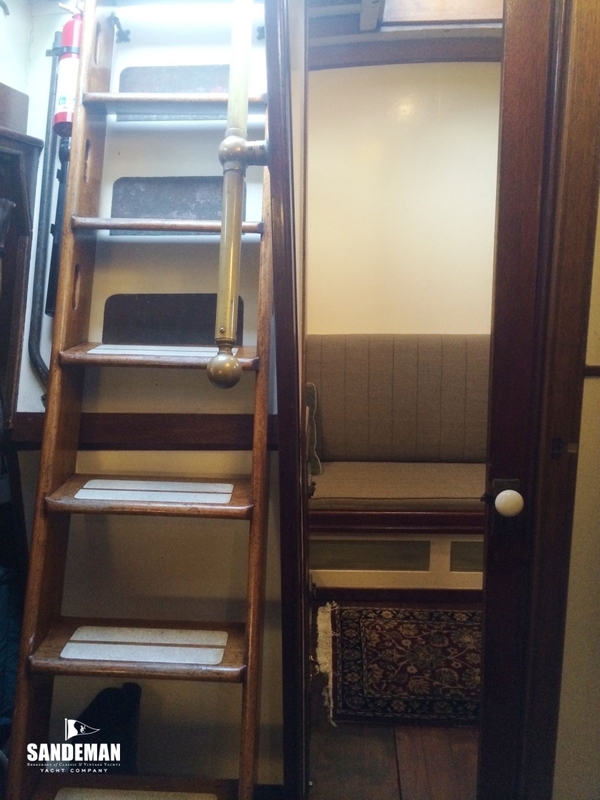 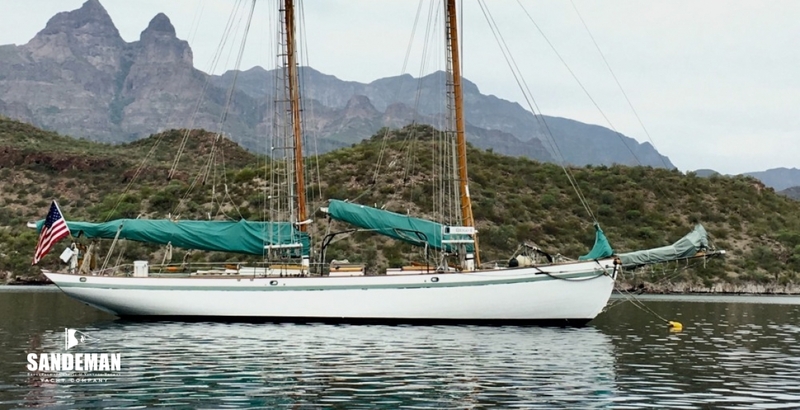 It was Crawford who finally allowed DIRIGO II to really stretch her legs, setting off on a circumnavigation in 1959 which would feature in his still sought-after book Count the Cats in Zanzibar, in which he recounts how well-behaved and fast she is, and how that WANDERBIRD rig and accommodation worked so well. 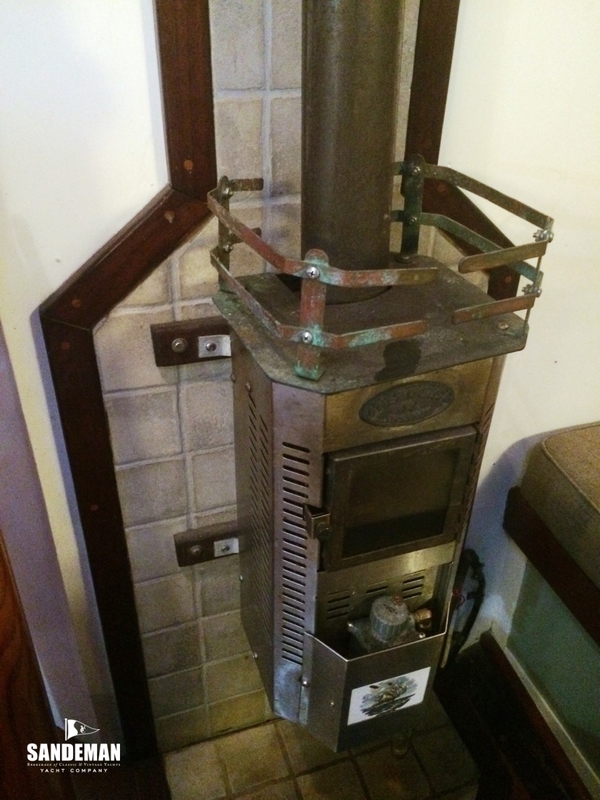 Both are little changed. 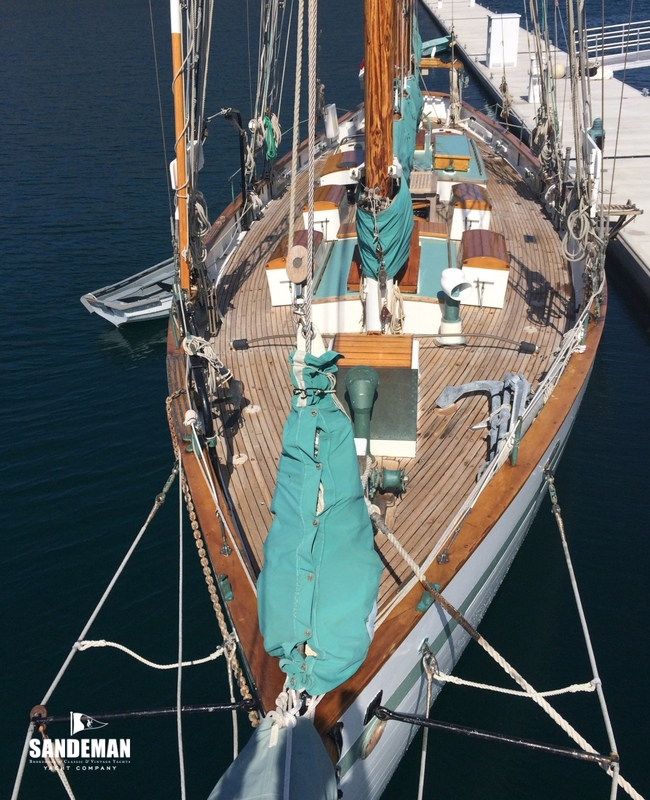 When the present owner and his family found her in 2010, besides being love at first sight, DIRIGO II was in need of and deserving attention. 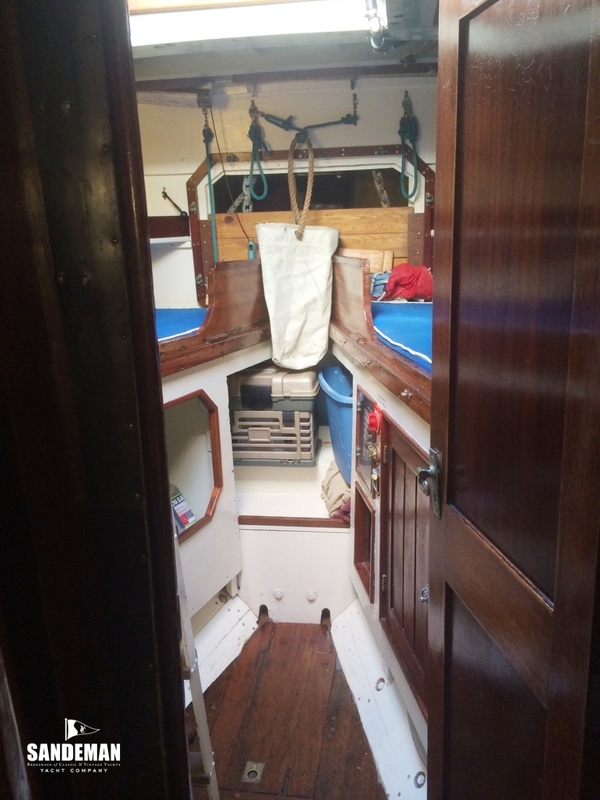 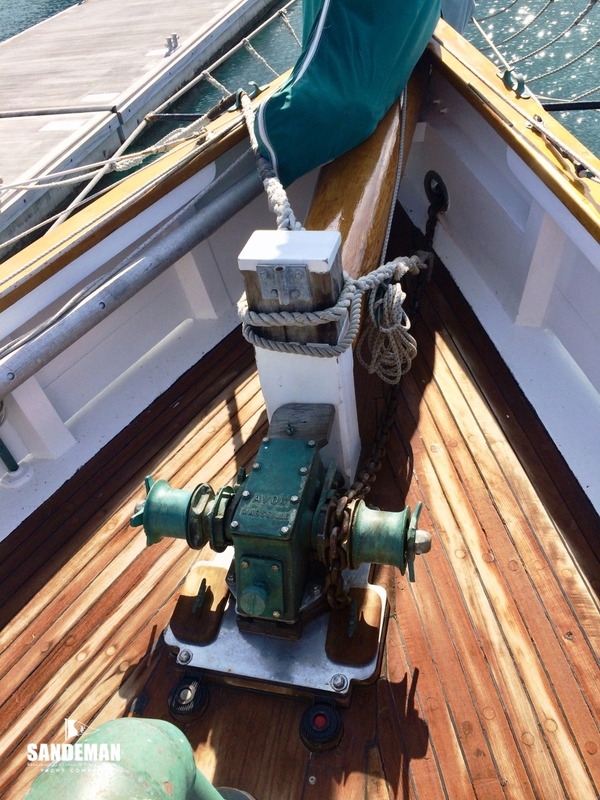 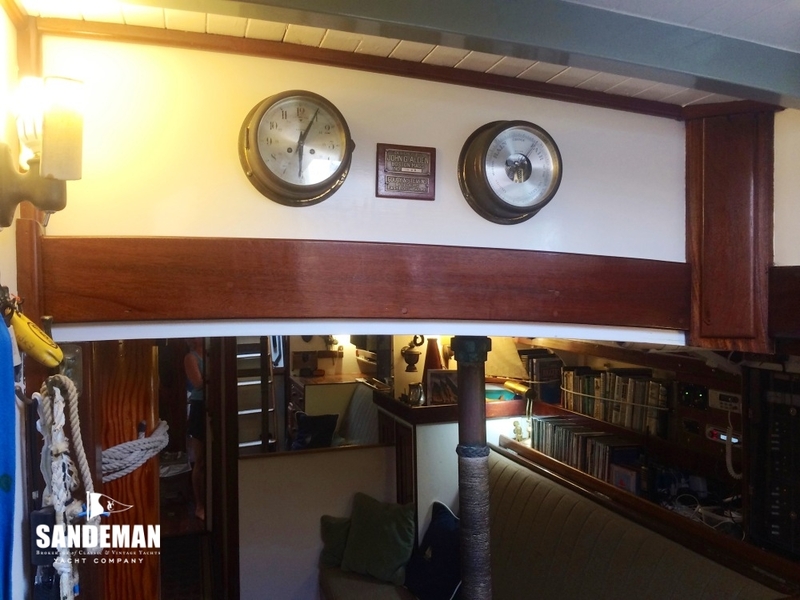 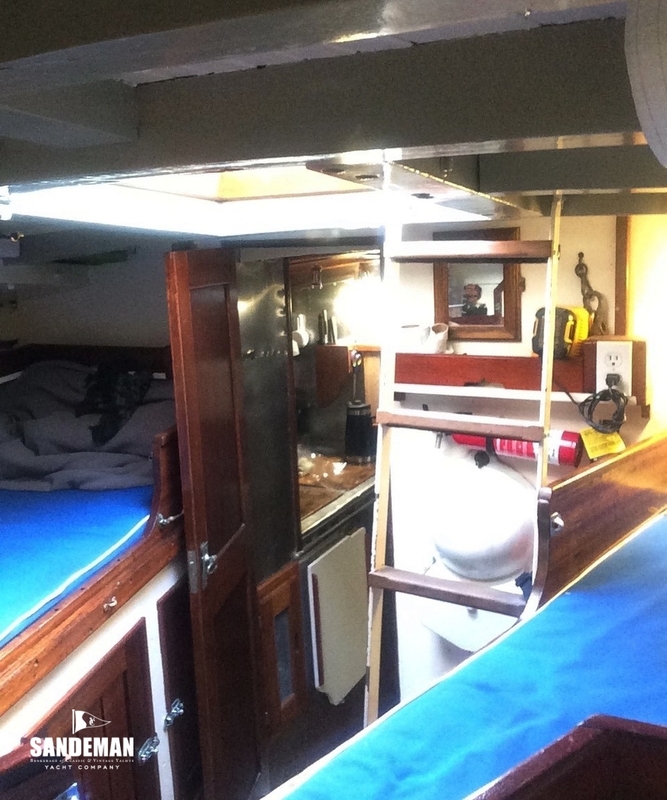 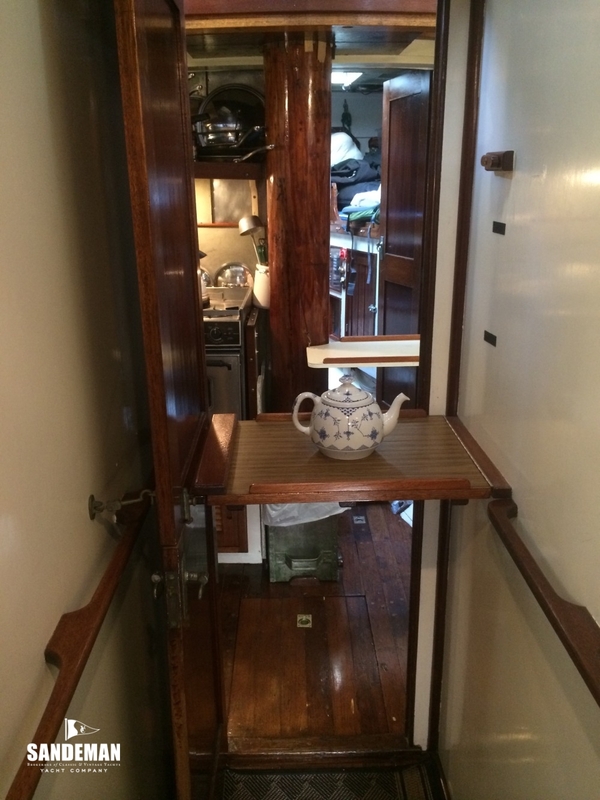 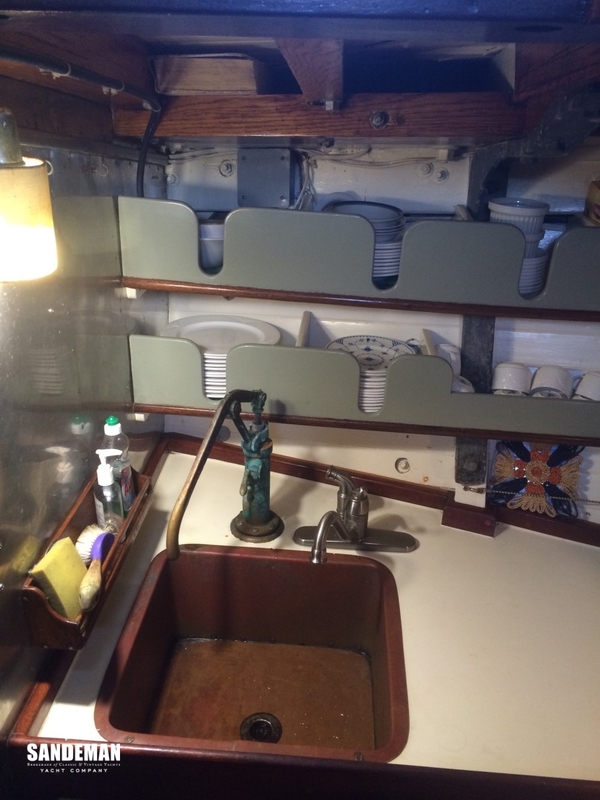 She received that and much more in two extensive restoration refits. 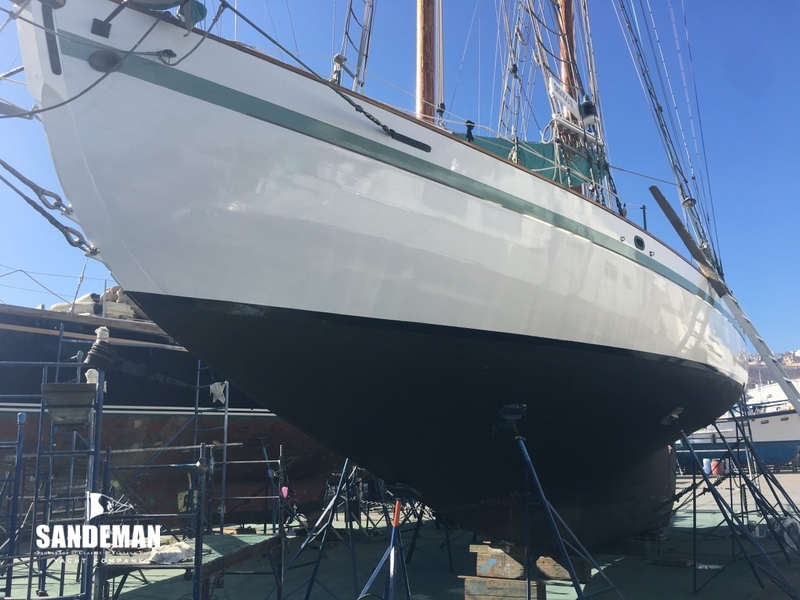 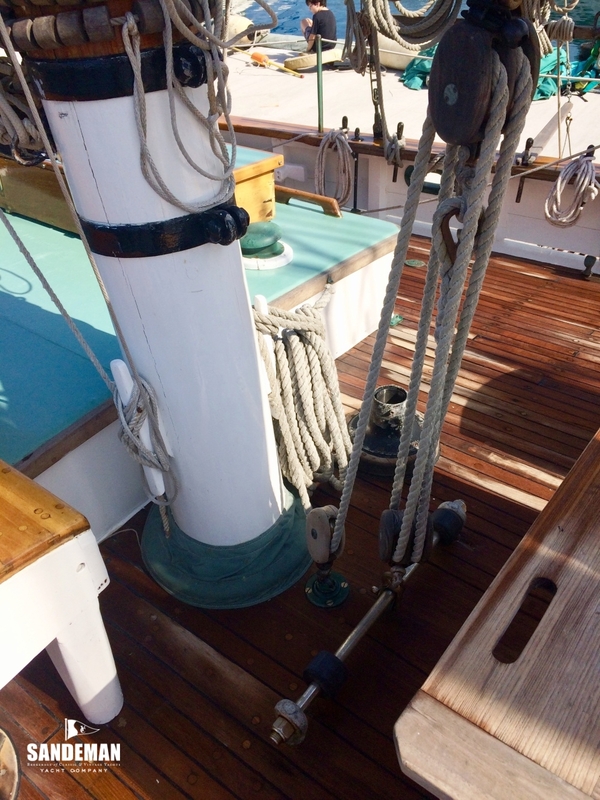 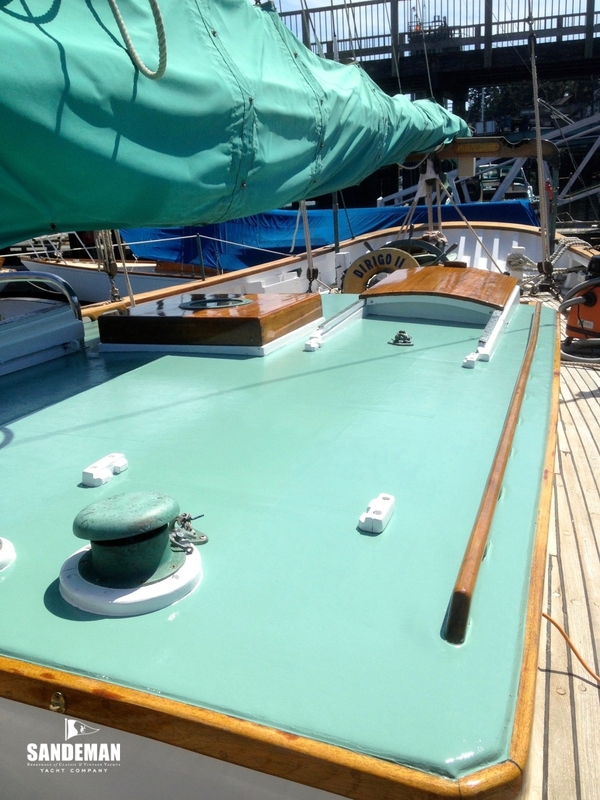 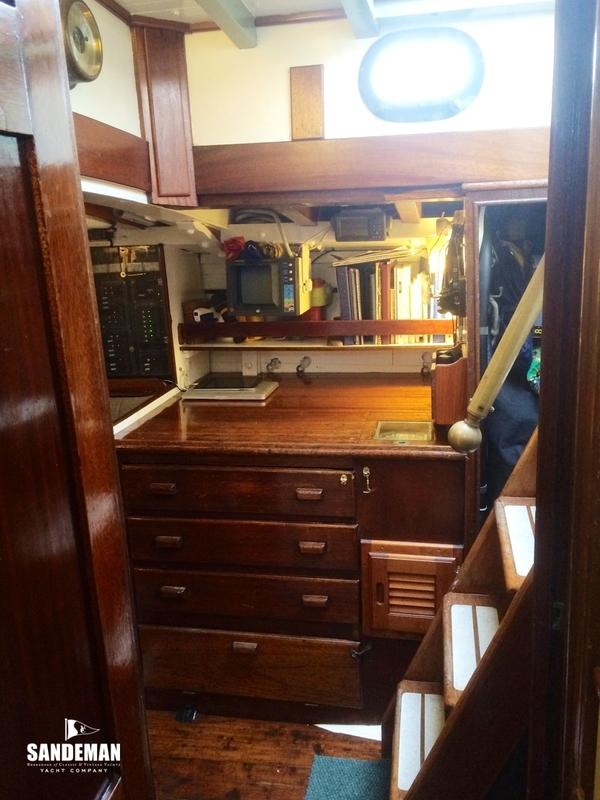 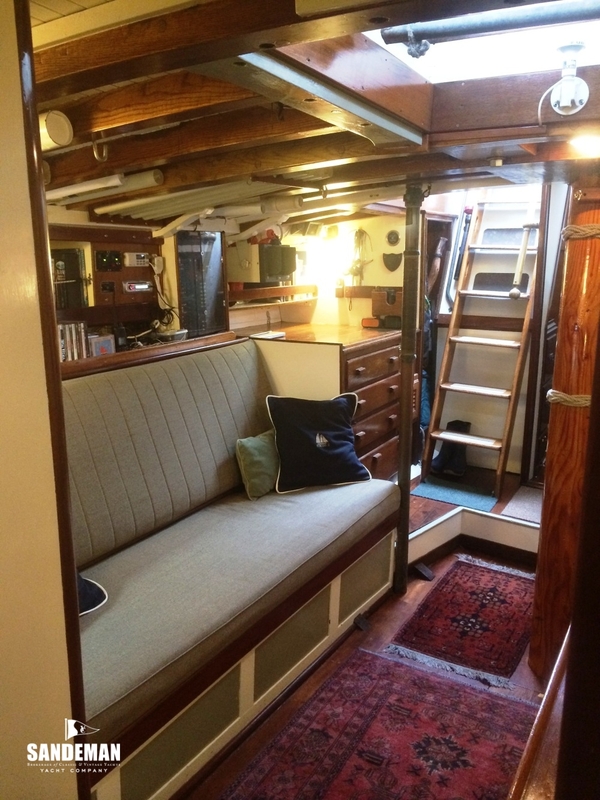 These included: structural restoration, system overhauls, electronic and equipment upgrades, sail inventory service and addition, interior refit and refinish - of course, not withstanding the normal annual haul outs, paint, varnish, spit and polish. 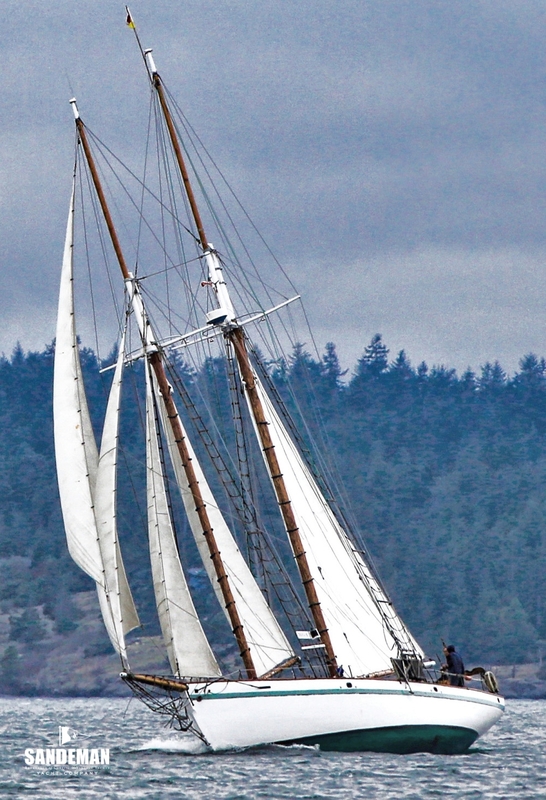 Since then, DIRIGO II has cruised, raced and chartered in the San Juan Islands of the Salish sea and the Pacific North West. 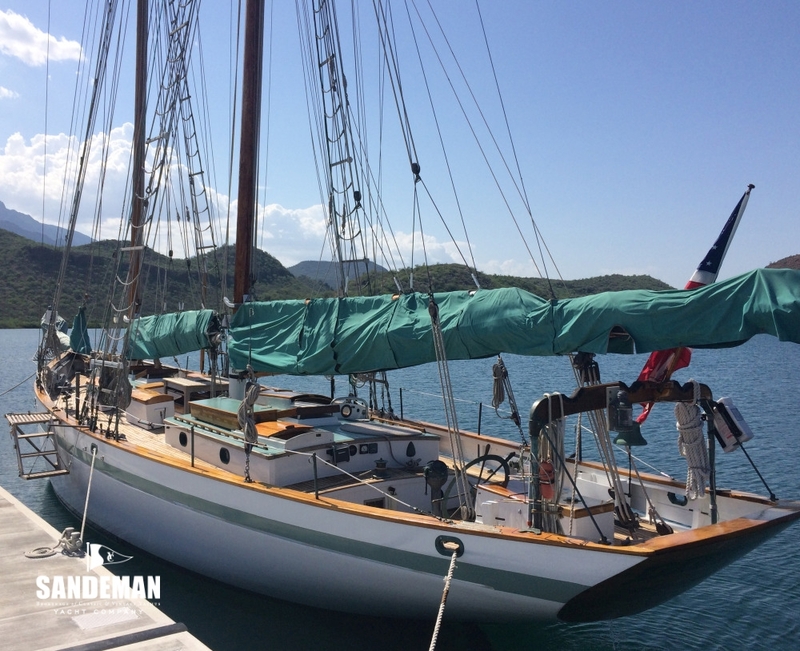 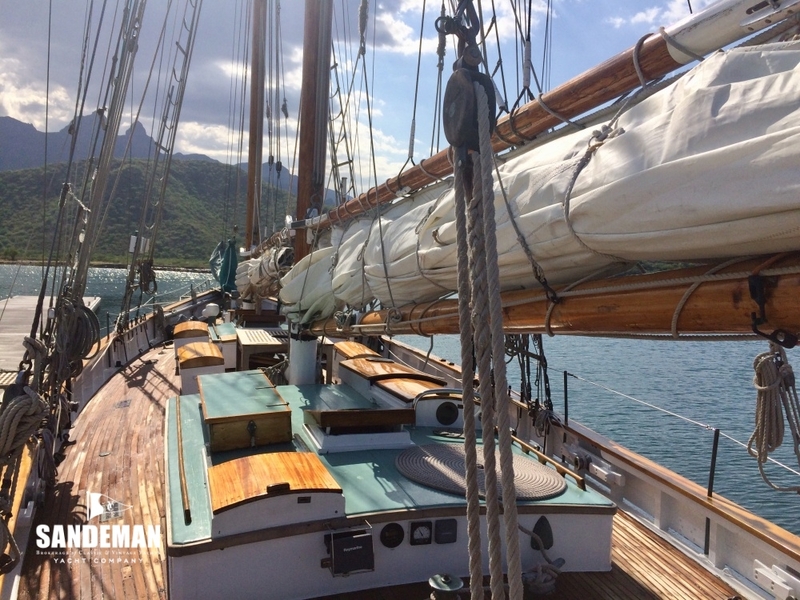 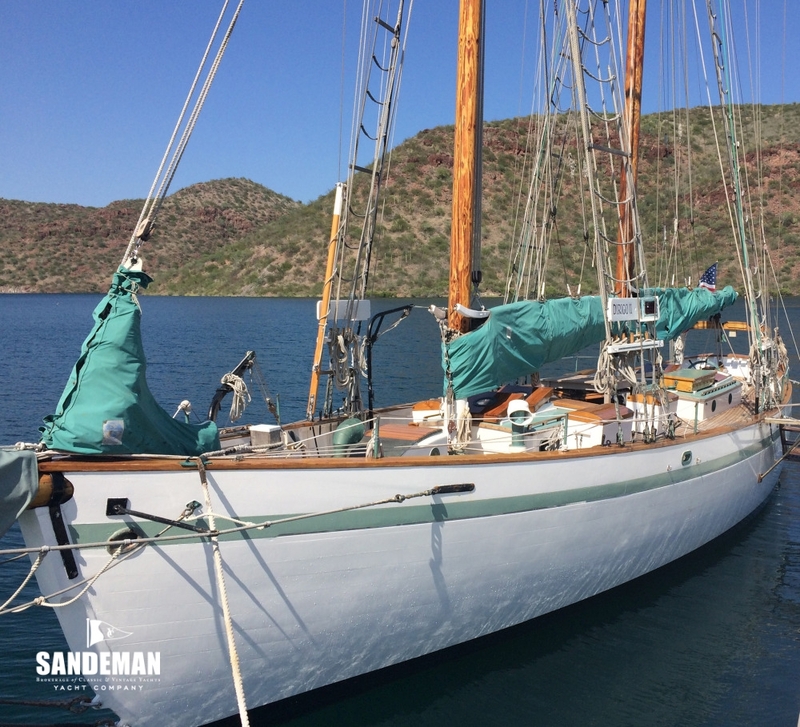 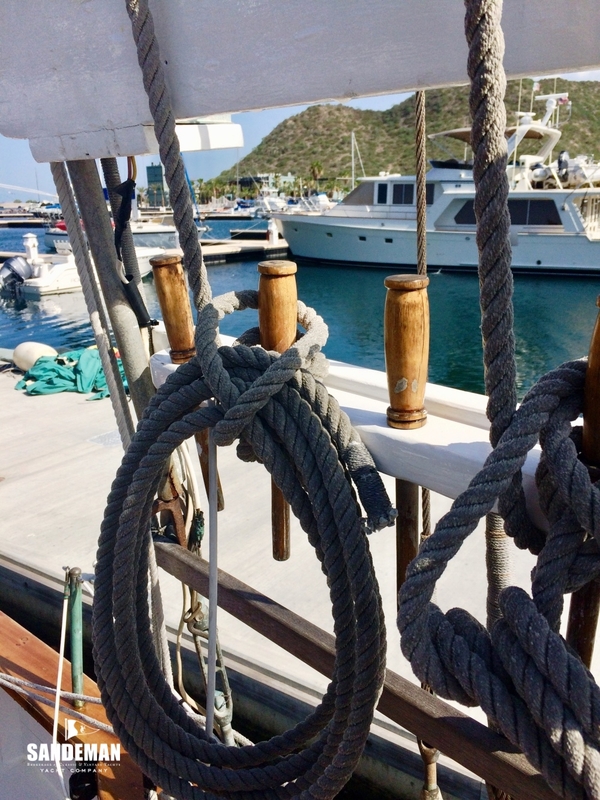 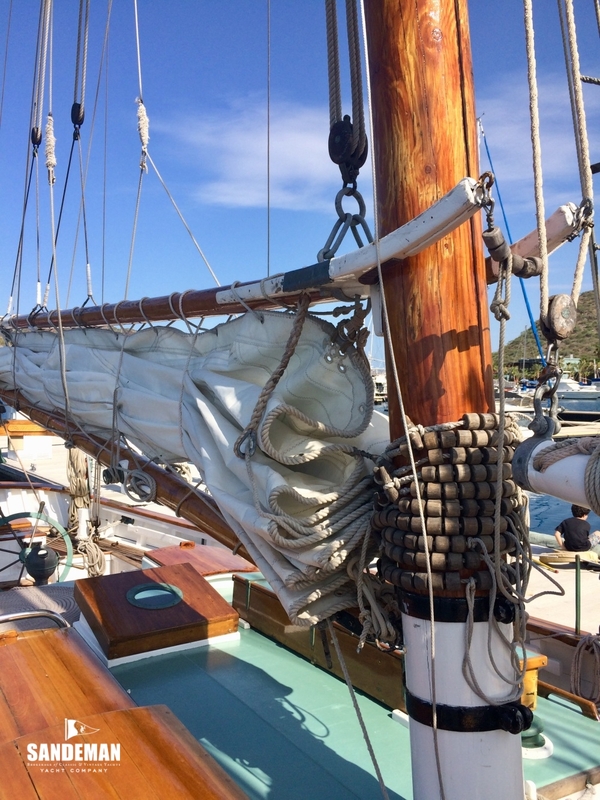 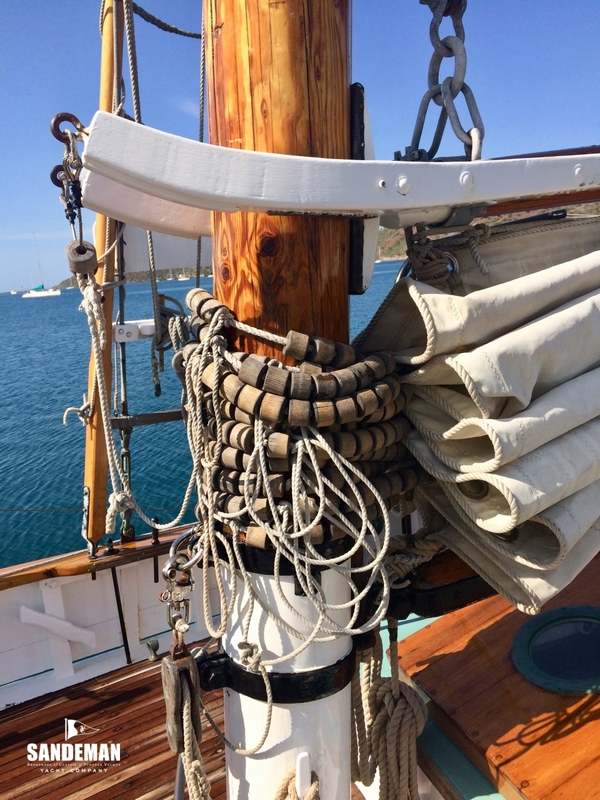 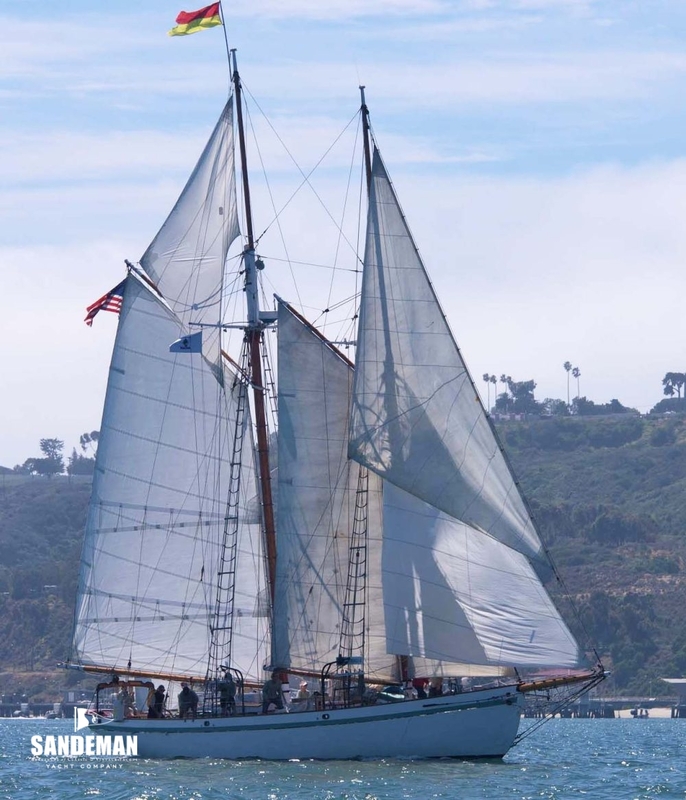 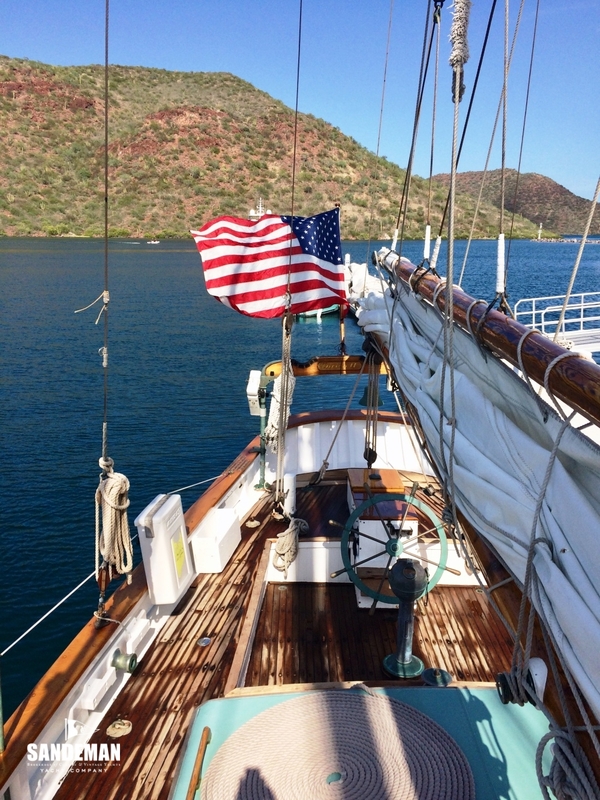 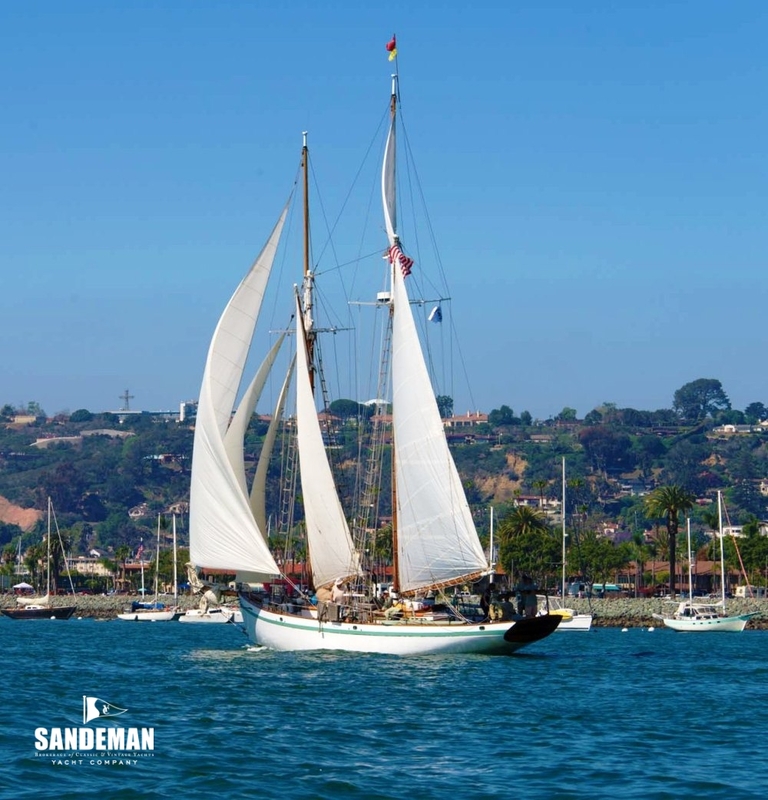 In 2015, on the return from a voyage down the west coast of America and cruising the Sea of Cortez, Baja California, she entered and was overall winner of the Great Americas Schooner Cup Race in San Diego. 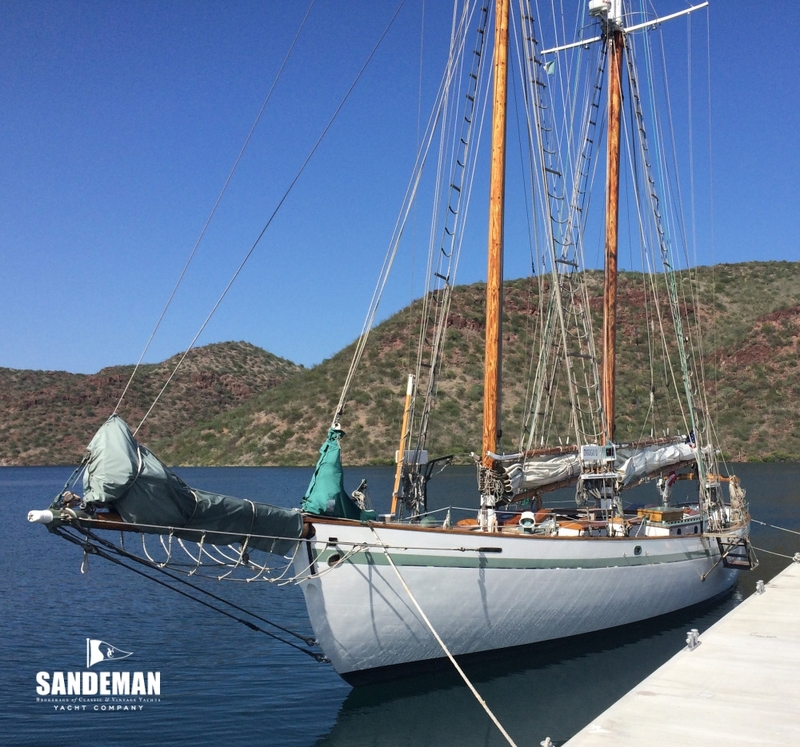 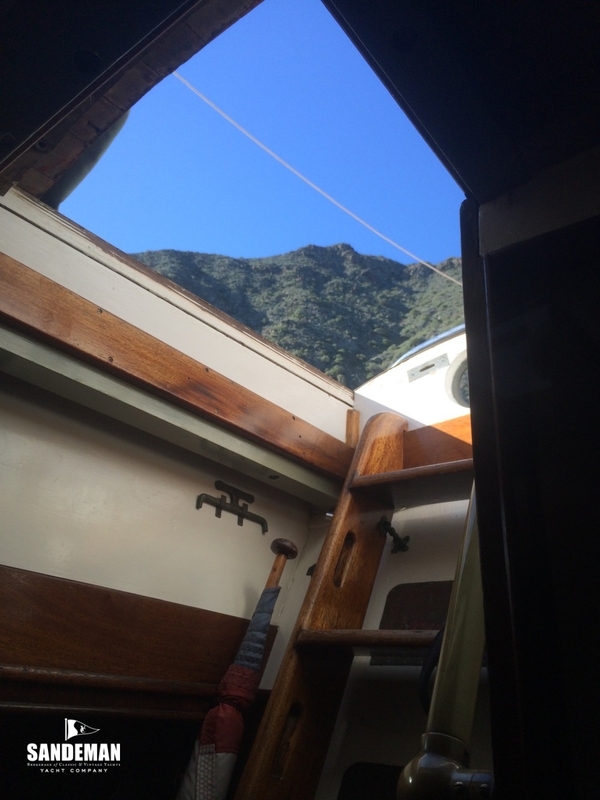 She is not only a proven and capable sea boat but can more than hold her own with other thoroughbred classics, especially when the wind pipes up! 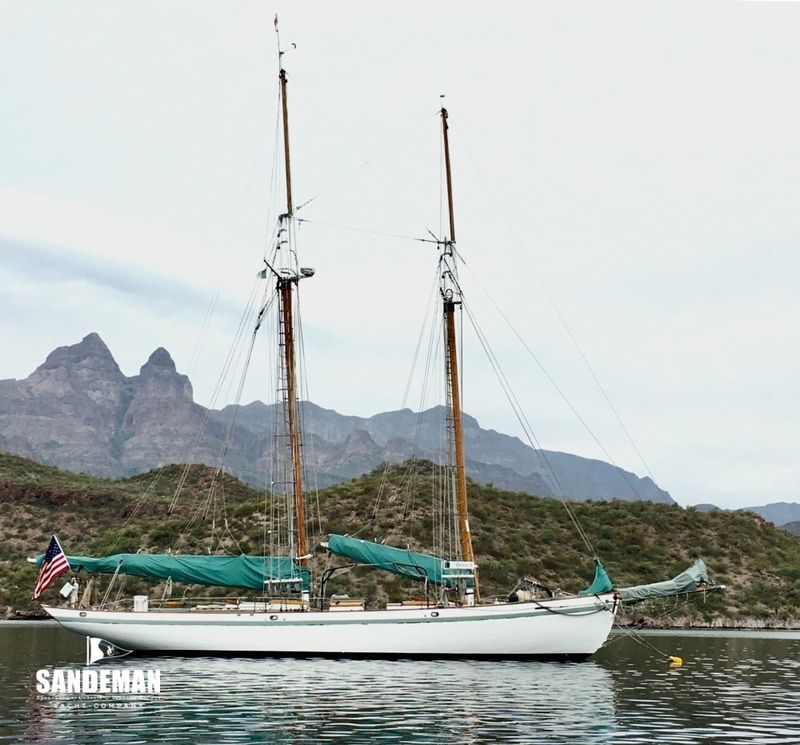 In 2017, after installation of new GPS, Radar and Autopilot, she departed again from her base in the islands for another adventure south and is presently based in Puerto Escondido, an hour's flight from San Diego.